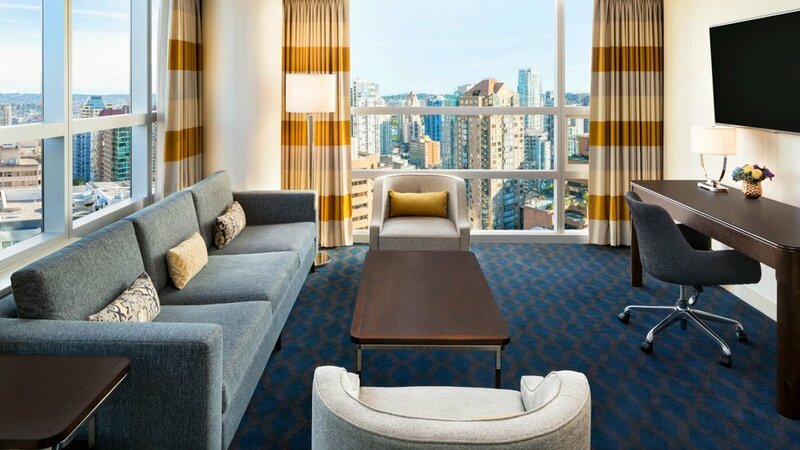 Located at 1088 Burrard Street in the heart of Downtown Vancouver, CAHSMUN 2019 will be held at the stunning Sheraton Vancouver Wall Centre, one of the city's finest establishments. The Sheraton Vancouver Wall Centre is a AAA Four Diamond award winning hotel, acclaimed for its world-class service, newly renovated luxurious suites and expansive views of the city as Vancouver's third tallest skyscraper. 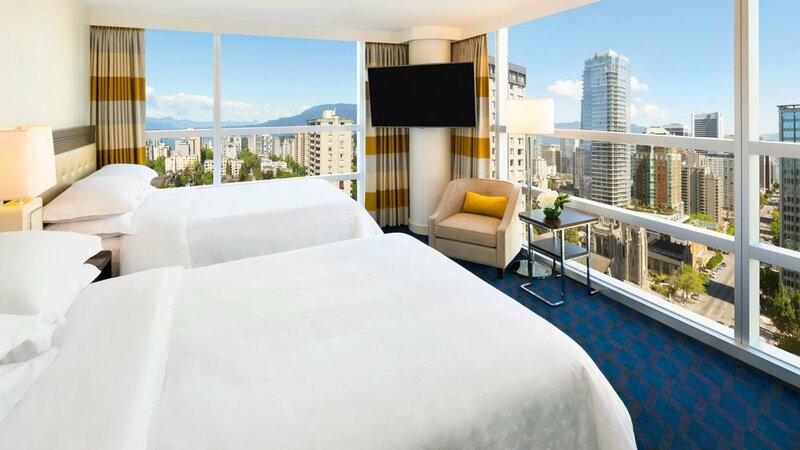 The Sheraton Vancouver Wall Centre boasts 44 fully-equipped meeting rooms, spanning 65,000 square feet of functional space, as well as 733 newly renovated guestrooms throughout three towers. The Sheraton Vancouver Wall Centre perfectly captures the charm, energy and innovative spirit of the West Coast. Just steps from the boutiques on Robson Street, Yaletown restaurants and popular attractions, including the Art Gallery, Granville Island and famous Stanley Park, the Sheraton Wall Centre is in the heart of the action. With gracious service, comforting amenities, and unique dining experiences, the Sheraton Vancouver Wall Centre provides a warm and authentic welcome to a truly world-class city. To ensure delegate safety and allow delegates to participate in midnight crises, all delegates must stay overnight at the Sheraton Vancouver Wall Centre. Rooming assignments will be coordinated by the Secretariat in collaboration with the head delegate or sponsor teacher. All committee sessions will be held at spacious meeting spaces available at Sheraton Vancouver Wall Centre. The rooms are distributed between the North and South Tower among multiple floors.